The Canary Islands are the perfect place to say “I do”. With their beautiful rolling sand dunes, sea views and palm trees, it's basically wedding day paradise. But in case you need a little convincing to tie the knot abroad, here's 10 reasons you should totally get married in the Canaries. There's no need to travel the earth to find your dream wedding or honeymoon destination. Just a short two-and-a-half-hour plane journey will take you to one of the most romantic getaways on the planet. 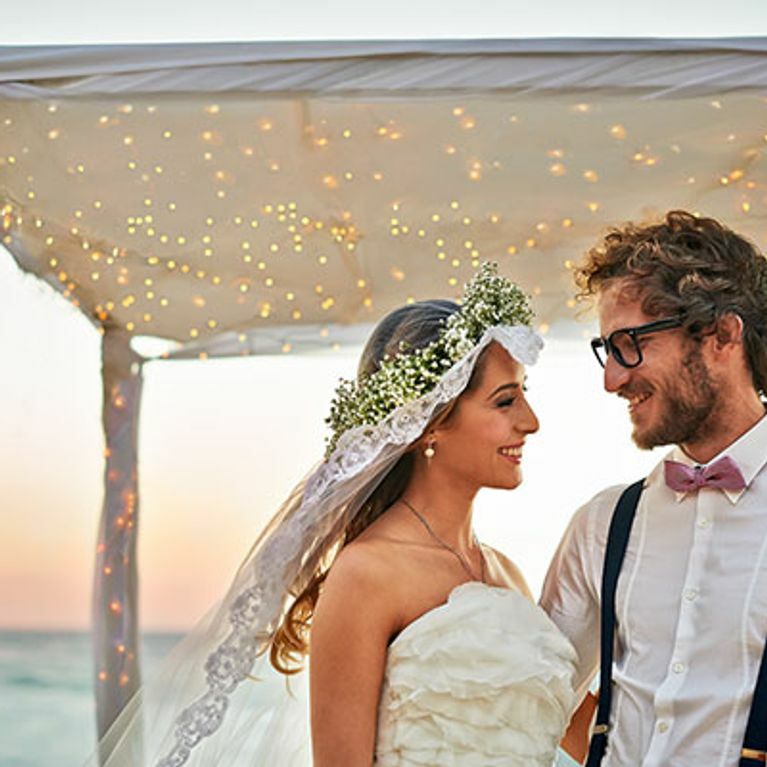 The beautiful Canary Islands boast endless white sand beaches, crystal-clear waters and sunshine all year round making it the dream location for getting hitched. And, if you thought getting married abroad was one big faff, you thought wrong. I do Canary Islands is giving you the chance to win your dream wedding For. Free. It doesn't get much better than that. To be in with a chance of jetting out to the Canaries for your big day, all you have to do is enter the contest by visiting I Do Canary Islands, fill in your details and activate your virtual guest book. Share it with your friends and tell us why you deserve a fairy tale wedding. If you manage to get more signatures than anyone else, your wedding will be free! It's that simple. So, what are you waiting for? You’re just one step away from having that fairy tale wedding. Adios goosebumps. There'll be no need to take a rain check because temps in the Canaries range from 18-24 degrees all year round. The average rainfall there is basically non-existent too, which means you and your guests can get all dressed up with no umbrellas to ruin the photos! The only thing you'll have to think about is your SPF honey. It's marriage heaven! If you've always wanted to have an Ibiza-style wedding, then this is the perfect destination for you. Canary Island beaches provide the perfect setting for a romantic wedding with stunning backdrops. With so many beautiful beaches, you'll be spoilt for choice so to help you decide which beach is best here's a definitive ranking of the best spots on the island. Beaches aren’t the only attraction in the Canary Islands - the food is delicious too. Holding your wedding reception here will be a real treat for the tastebuds and a major talking point for all your guests. The meat and wine are two exquisite delicacies not to be missed. But you can also find a variety of dishes, such as papas arrugadas con mojo (wrinkly potatoes with pepper sauce), baked cheese, fish and desserts made with gofio (roasted grains). Nom. Nom. Because of the high demand for weddings on the Canary Islands, there are plenty of exclusive places for couples to stay. Apart from the beautiful, unique locations it has to offer, there are also adult-only hotels, where you are guaranteed maximum tranquillity and privacy for your honeymoon. Peace is so underestimated. It’s not always easy to organise a wedding especially when it's abroad, as it requires time, effort, plenty of shopping and prep. But if you decide your dream wedding has to take place in the Canaries, you should know you're in good hands. 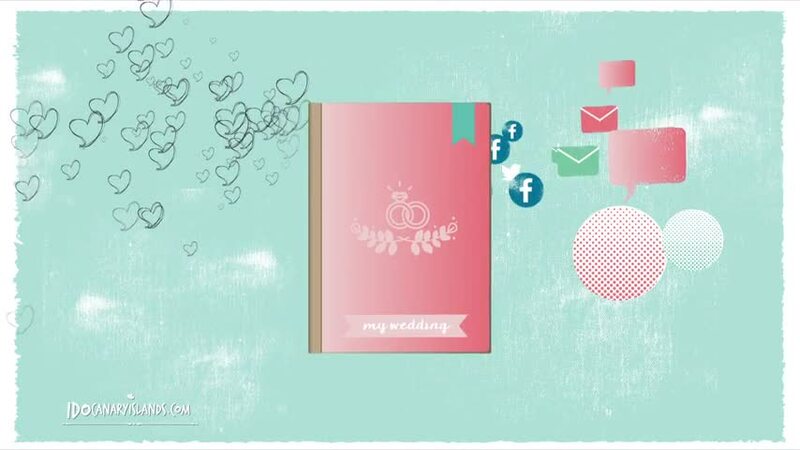 Find out how the wedding gurus at I Do Canary Islands and make your big day a piece of cake. Forget about typical wedding photographs of the ceremony, the reception and your guests. The Canary Islands offer the most incredible backdrops for your photo album. We're talking beaches, cliffs, mountains, magical hidden-away coves...permission to brag? For. Sure. The good thing about being in the Canary Islands is that, once you're there, you can quickly reach anywhere else in next-to-no-time. There are airlines that exclusively serve the Islands, and their low fares make it very tempting to visit the surrounding areas. To make it all the more romantic, you can even travel by boat! Day trip to Lanzarote? It's a honeymoon must! A honeymoon is for resting, but also for kicking back with some sangria. It's the Spanish way of life! Oh, and if you're thinking of having a February wedding, you’ll be able to experience the Carnival - one of the most musical, merriest and colourful events around. 10. It's a destination for life! Anyone who visits the Canaries is bound to return. It's unforgettable landscapes and rustic charm make it impossible to forget. One trip is just never enough. Would you get married in the Canaries? Tweet us @sofeminineUK! Why The Canary Islands Beaches Are The Ultimate Place To Say "I Do"